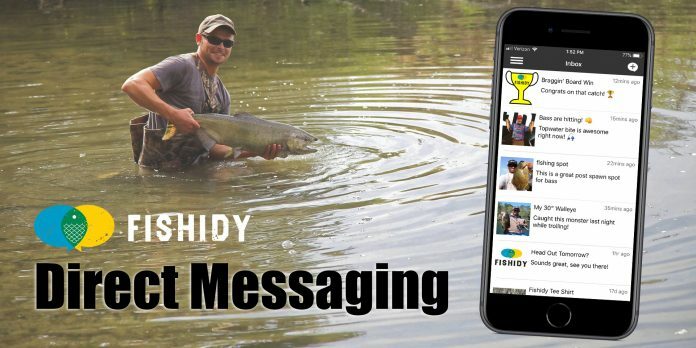 While direct messaging has been available for some time on the Fishidy website, we’ve listened to your feedback that it would be even more helpful if it was available on the mobile app. Today is the day! 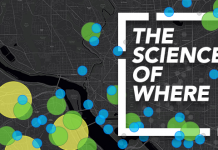 We’ve released this same convenient feature on our mobile app – and even added extra features. Here’s a breakdown of what you’ll see the next time you login to the mobile app. Here’s where you will find direct messages sent to you from others, and it’s where you can start creating a direct message of your own to send to someone else. 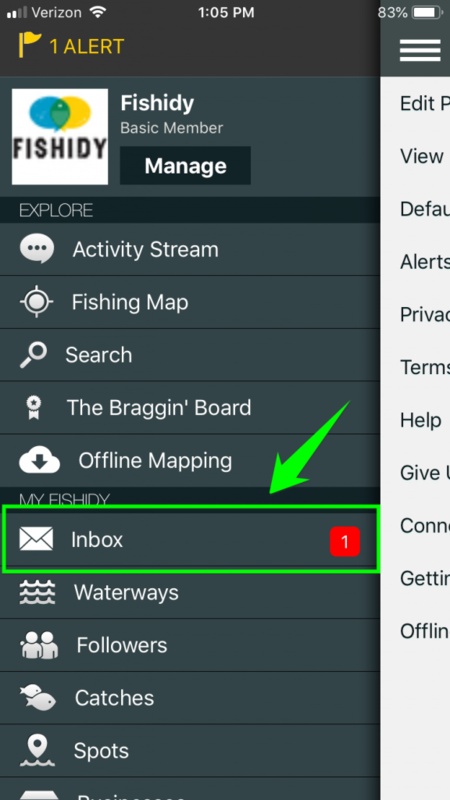 Keep an eye out for the red label, indicating you have a new, unread message. New messages will appear in the order that you receive or send them. 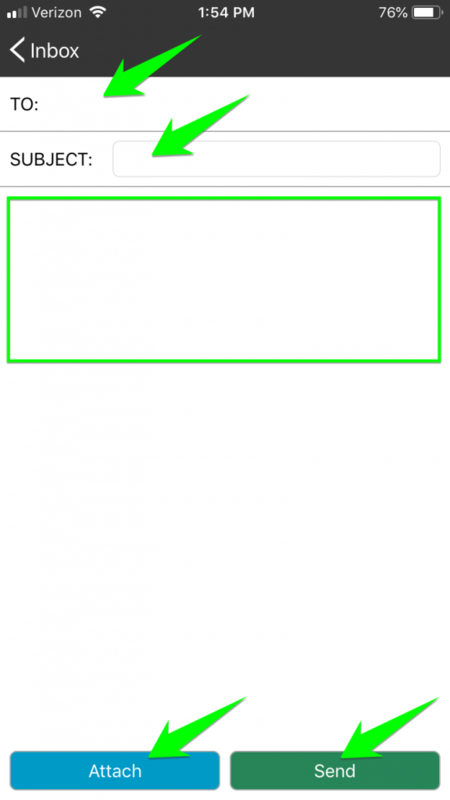 Tap near “TO:” to search for the user you’d like to send a message to. NOTE: You must first be following the user to send them a direct message. Enter a subject line, and then start typing your message in the area below. 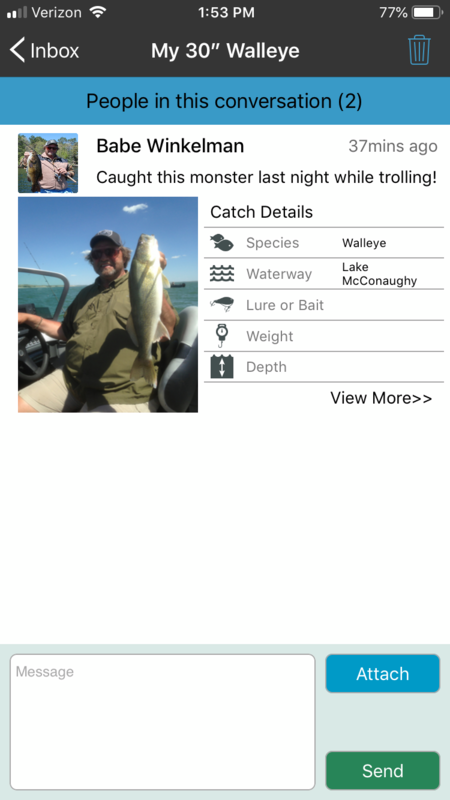 Tap on “Attach” to share one of your own Fishidy catches or spots. Finally, tap on “Send” to complete your message and send it directly to the other user’s inbox. Here’s where it gets even more awesome! 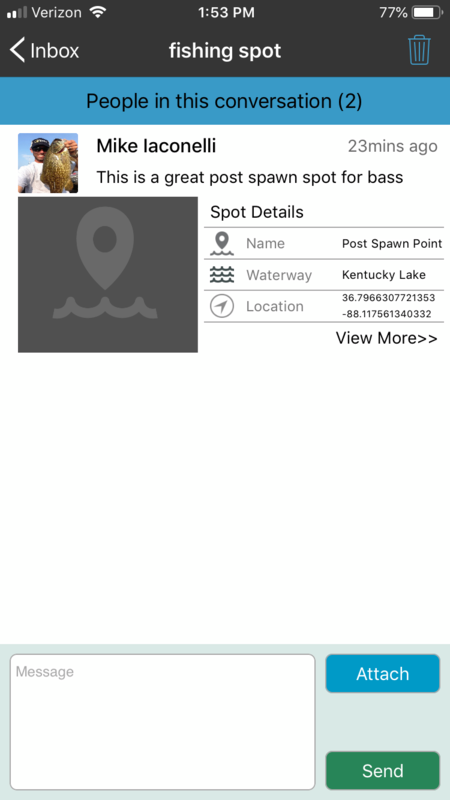 On the mobile app, we’ve added the ability to attach your own logged catches and spots to your direct messages. 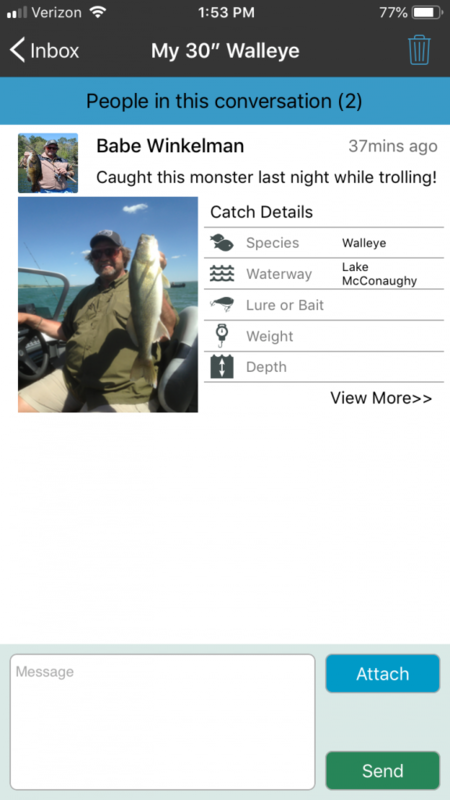 Want to show of that huge fish you just landed!? 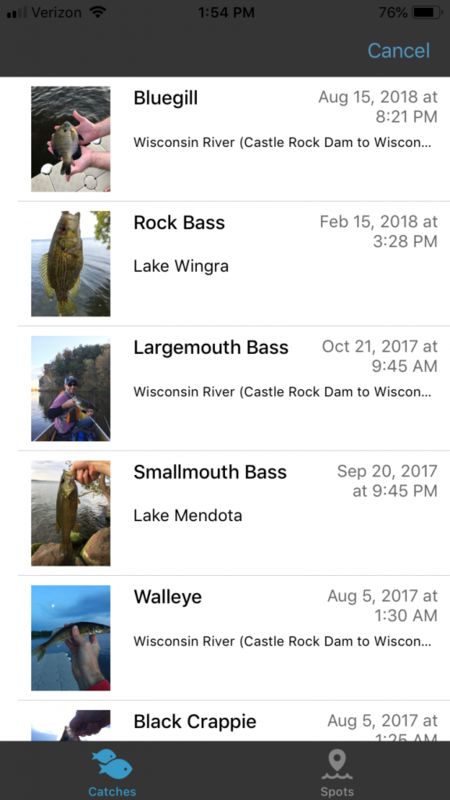 Attach it in your message and your buddy will see your catch details – where it was caught on the map, what lure/bait you used, weather conditions, etc. And it’s the same with spots. 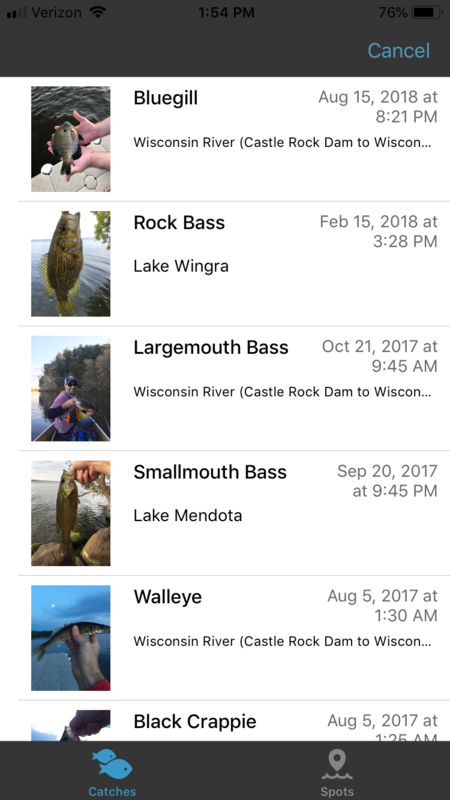 If you have a great fishing spot you’d like to share with a buddy, just attach it to your message, and they will get the details on where they should be casting next. 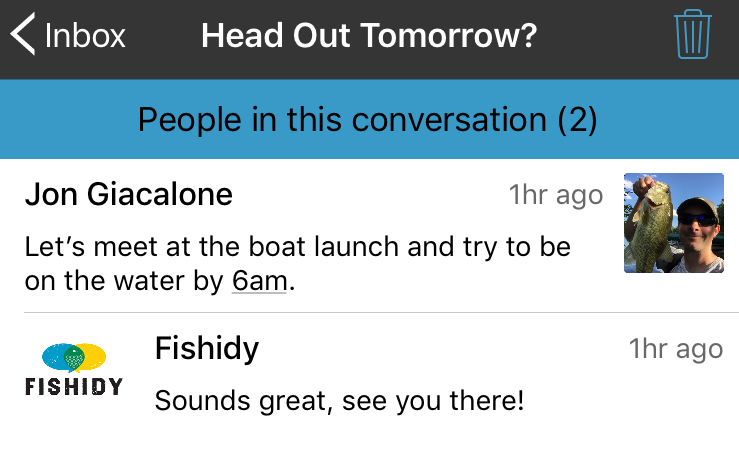 NOTE: If you attach private catches/spots, they will be accessible only to users in your message. 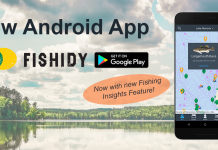 Give your Fishidy buddies a heads up when/where they should be meeting up before heading out to fish the next morning. 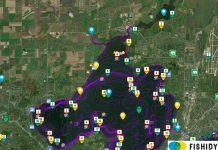 Introduce yourself to other local anglers and start a dialogue about the best fishing opportunities in your area. 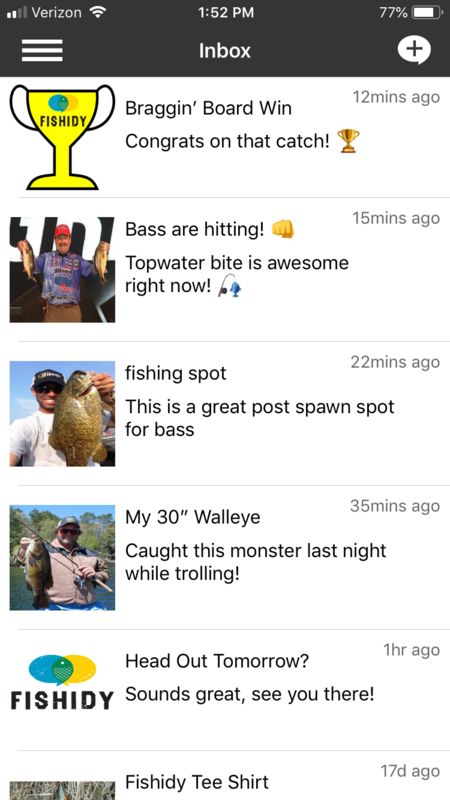 Details about your logged Fishidy catches will be viewable directly in your message. Click through to see even more! 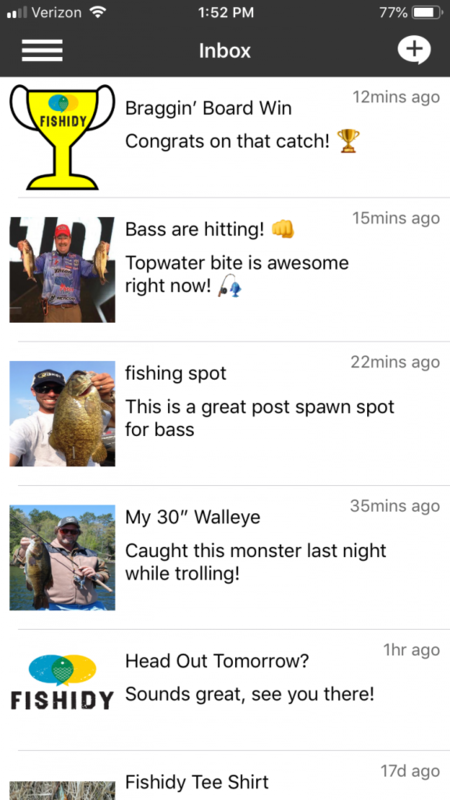 Swap your best fishing spots with your buddies. 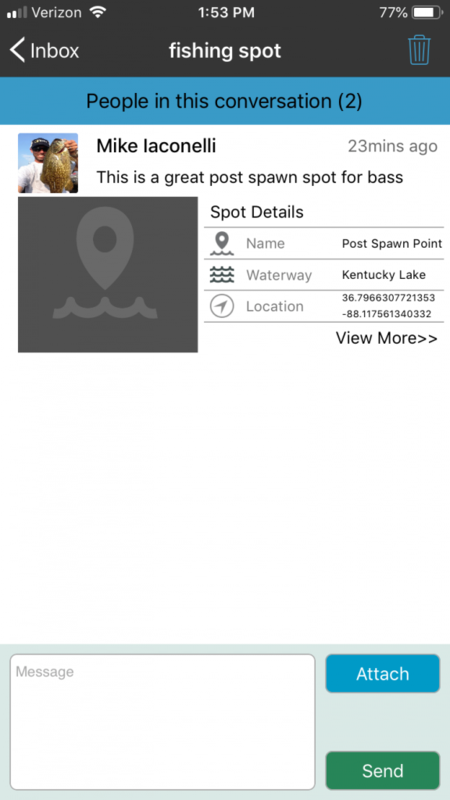 Get details about exactly where to catch that next trophy fish. But choose wisely who you share with..! We hope you enjoy this new feature, let us know what you think in the comments below!